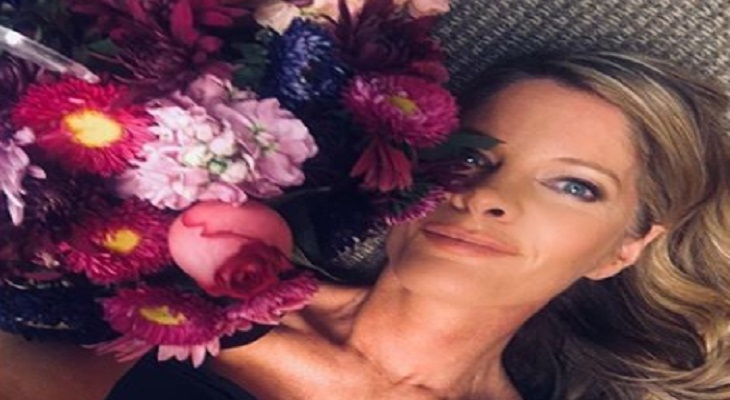 General Hospital star Michelle Stafford has just made an exciting announcement. For those fans who were hoping to steal some of her most fashionable looks both on and off screen, we’ve good news for you. The talented daytime television star has just started a new business called Scout and Jones. Fans can now buy some of the things that Michelle has been keeping in her closet. Michelle is currently known for her role as Nina Reeves in Port Charles. Here’s what you need to know. Michelle’s new venture is called Scout and Jones. So far the actress is encouraging her fans to sign up for her mailing list so they will be the first people to know about all of Michelle’s outfits and when they will be ready for sale. It’s without a doubt that many General Hospital fans can’t wait to get their hands on some of the pieces that Michelle has worn in the past. After all, the tall, blonde beauty makes everything she wears look so good on her! We are excited to see what else she has to offer as she continues to open up her stylish closet for her fans. Let us know what you think by leaving us a line with your thoughts in our comments section below. In the meantime, don’t forget that General Hospital airs weekdays on the ABC network. Check your local listings for times. Also, come back to Soap Opera Spy for all the latest news, updates and spoilers on General Hospital and all of your favorite daytime television shows right here! Days of Our Lives Spoilers: John Gets a Lead on Leo’s Mom, Will She Help or Hinder the Plan?